Can't find what you are looking for? 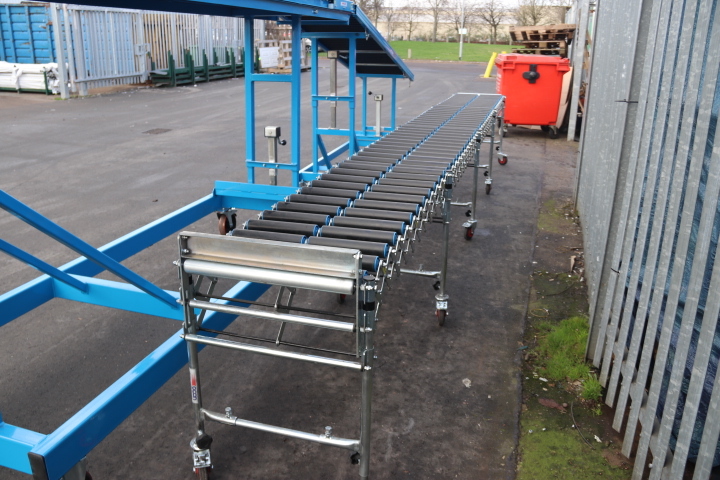 View our Newly Manufactured Vehicle Conveyors! 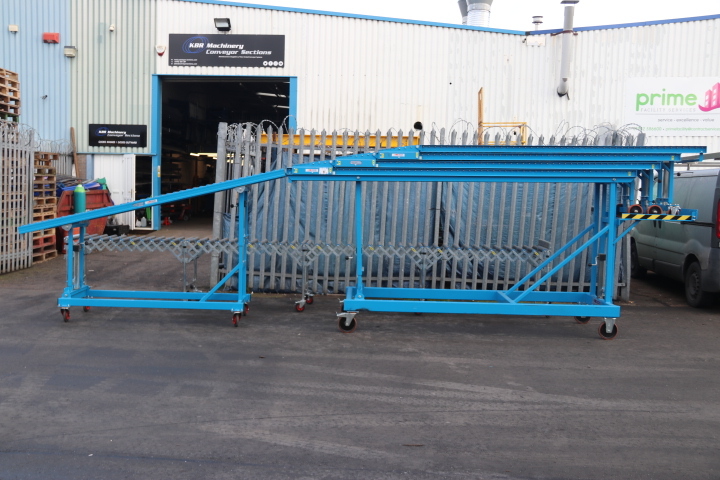 We can offer powered loading & gravity vehicle unloading conveyor, comprehensive range. Sorry you missed this item - Need a New Quotation? Ideal for both loading and unloading applications, whereby intended use would be from floor level to the rear of the vehicle. Conveyor features a gravity skate wheel conveyor, which will expand to 8m (26.4ft). 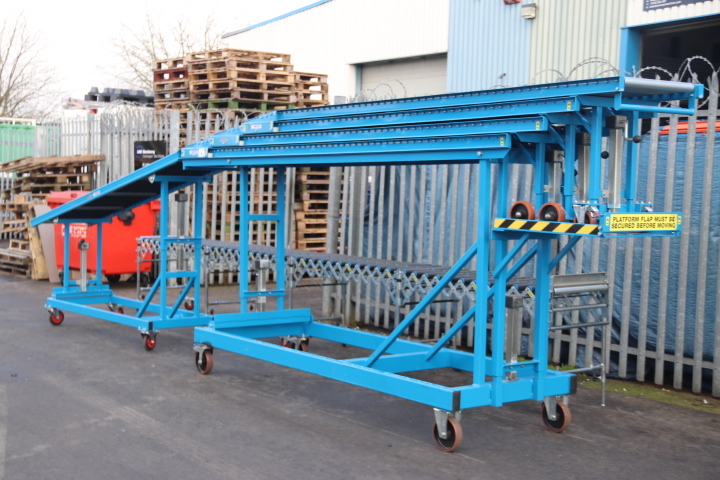 In addition to this, the chassis of the unloading conveyor can be pushed underneath the vehicle being unloaded, allowing 10m extension into the vehicle. 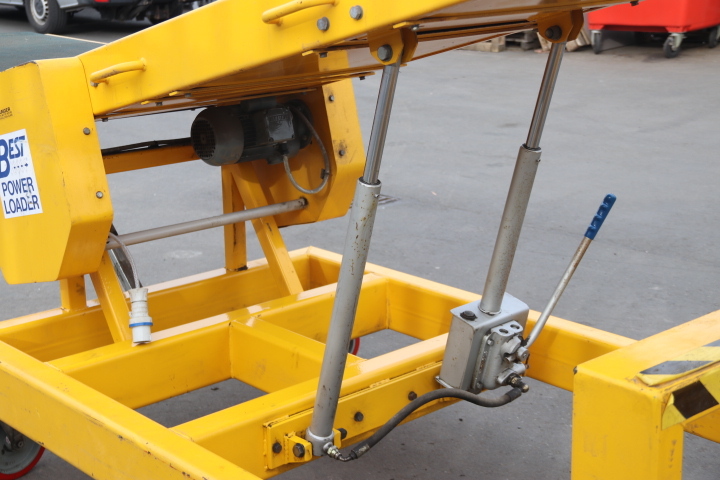 Screw Jack adjustment for the rear of vehicle placement, in addition, to drop out adjustable swivel feet to control loads. 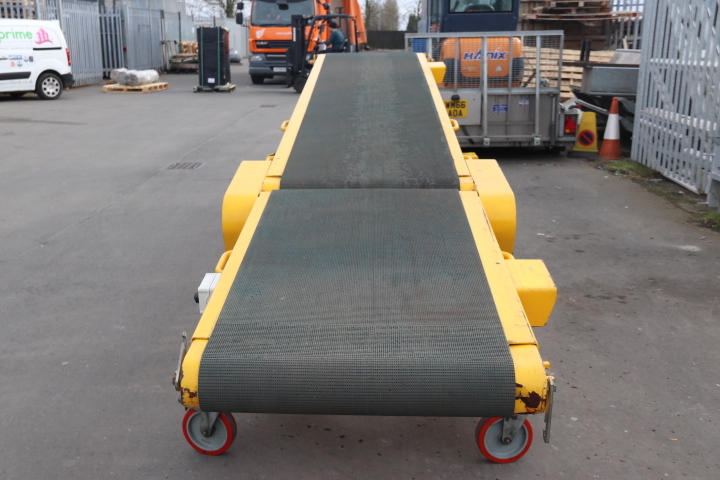 This conveyor features bi-directional fixed speed control, supplied with a 15m 240v 16amp fly lead. 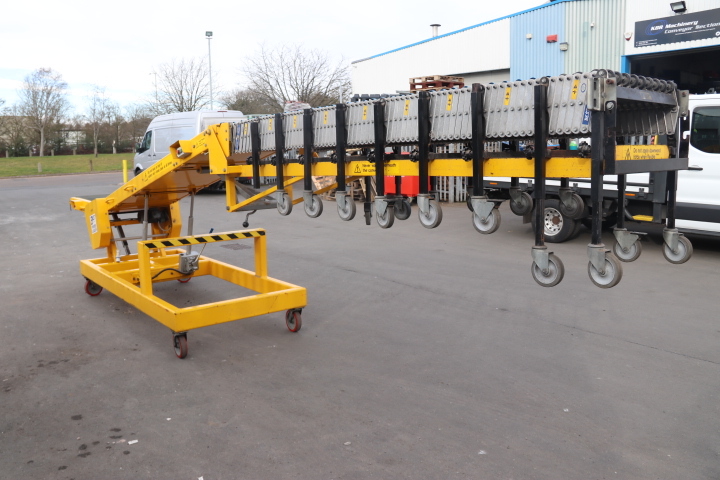 If you are unsure about any information or requirements for our used unloading conveyors, please feel free to contact one of our sales representatives for more information. 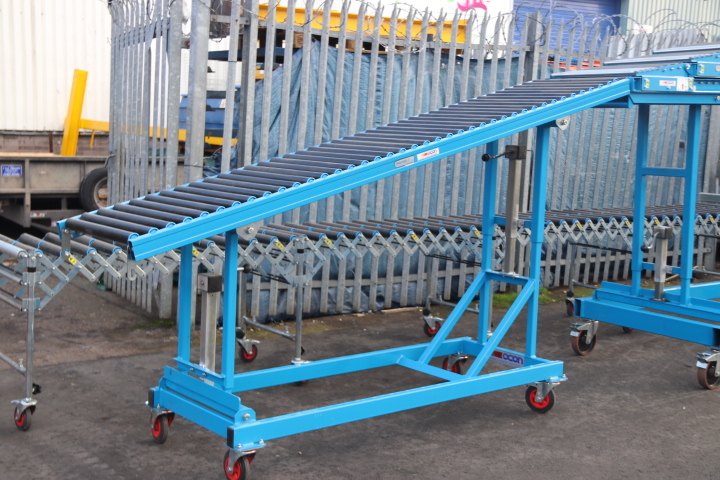 Prices* quoted are 'conveyor only', in some instances used unloading conveyors will be quoted with basic electrical controls, which were previously supplied with the loading conveyor from the original manufacturer. 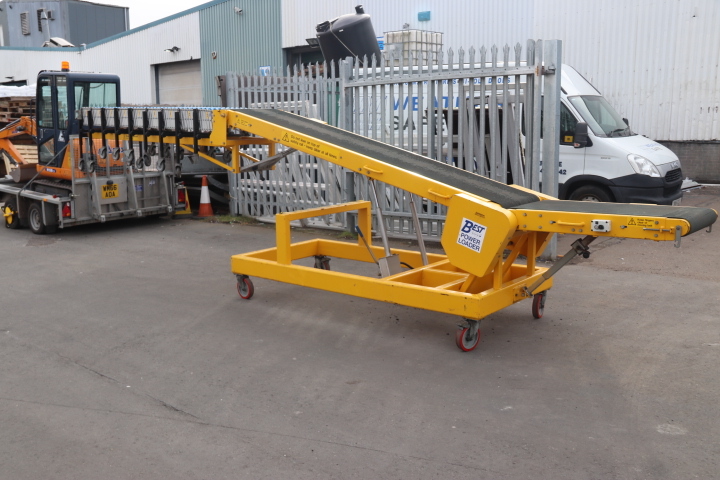 We can re-quote any used vehicle unloading conveyor to the required specification, with regards to electrical controls and additional fabrication, this includes refurbished loading conveyors where required, additional conveyor support frames and product guarding to suit the application.